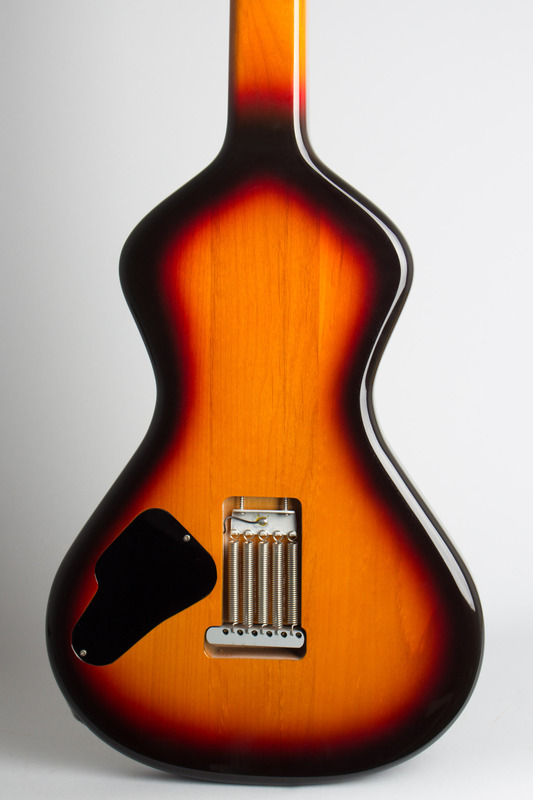 Asher Custom Slidecaster S Model Lap Steel Electric Guitar (2007), made in Los Angeles, California, serial # 334, sunburst lacquer finish, alder body with rosewood fingerboard, original alligator grain hard shell case. Bill Asher is a California luthier who is not only an exceptional craftsman but also clearly not afraid to think outside the box. 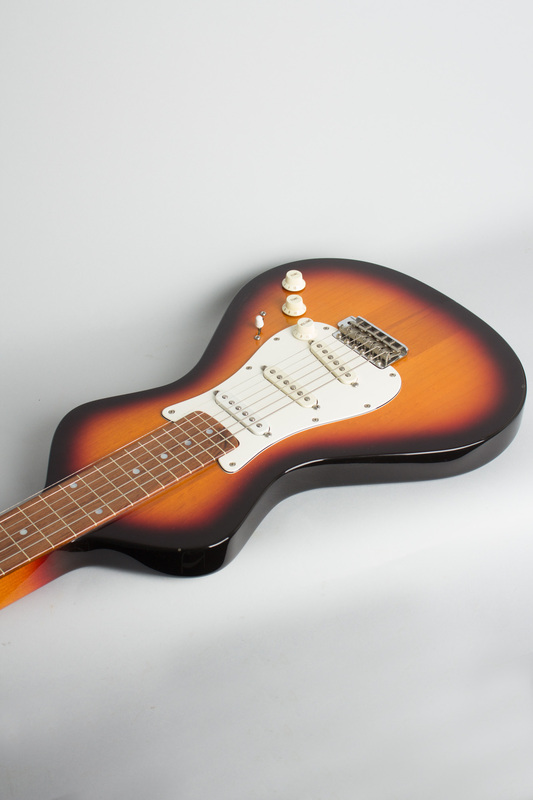 This "Slidecaster S", as its name suggests, combines elements of a Fender Stratocaster into a lap steel with a totally distinctive sound and style. 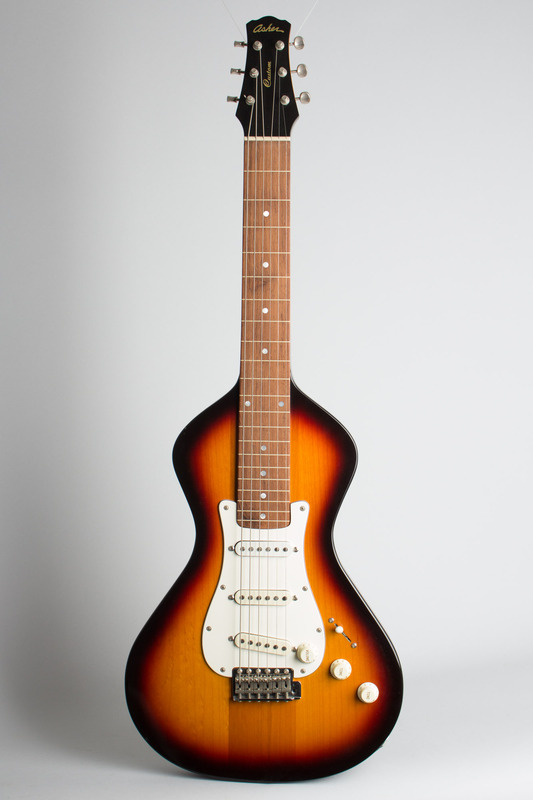 This is something of a corollary to Asher's Ben Harper signature model, which combines this Weissenborn-inspired solid body shape with many design elements of a sunburst Les Paul. 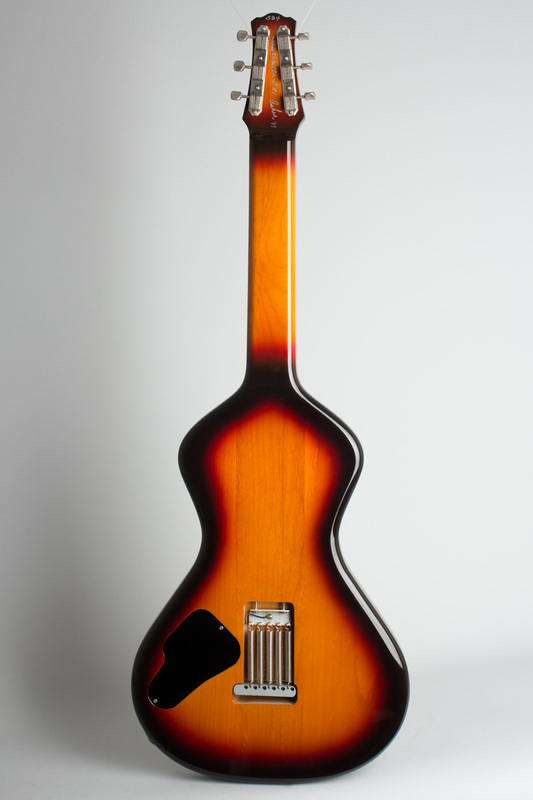 This instrument is a custom-ordered guitar hand built in 2007 by Bill Asher, not one of the currently made imported versions of his solid lap steel designs. It is fitted and finished in vintage Stratocaster fashion with a sunburst body, white pickguard, and rosewood fingerboard. 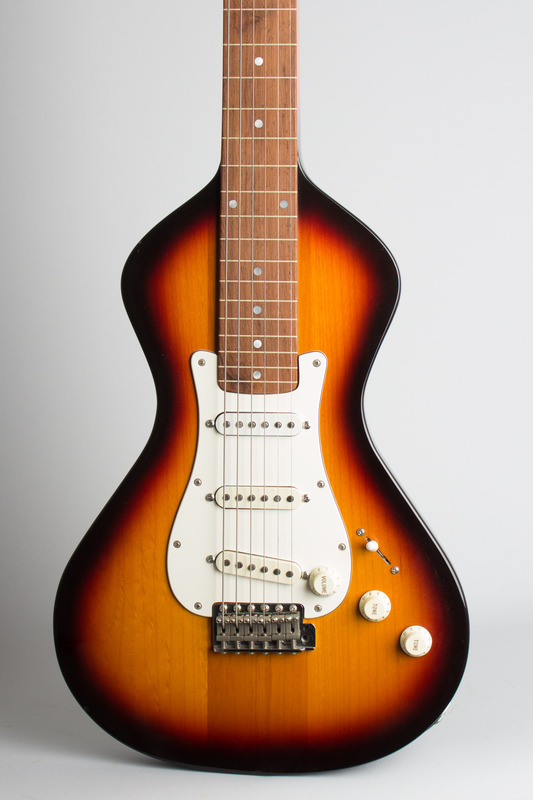 The three pickups, bridge, and controls are all Strat-styled, with a full Stratocaster vibrato and spring bridge assembly. The guitar is wired in standard modern Strat fashion with a 5-way switch except the lower tone control is not wired with a capacitor and seems pretty much ornamental. The switch functions as expected, and the "out-of-phase" sounds are totally unique for a lap steel. This is a very unique guitar, in practically unplayed condition. It was finished as part of a set with #335 and hand-signed by Bill Asher in 2007 and appears little used since. The sounds are quite versatile for a slide guitar, and the Stratocaster character of the sound is quite pronounced, especially with the "in-between" position settings engaged. If this is your dreamboat, don't let it sail away! 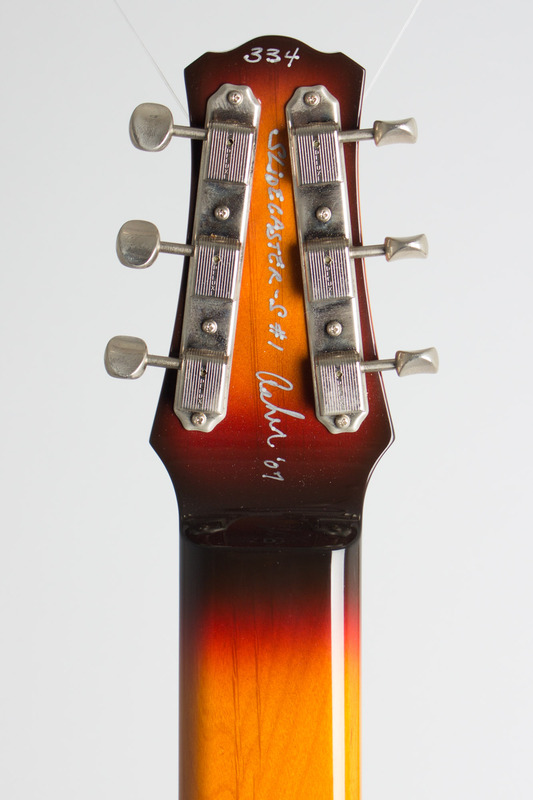 This guitar shows only light handling marks with a few deeper marks, and appears little played since new. Only a few small dings on the top edge keep this from looking practically mint. 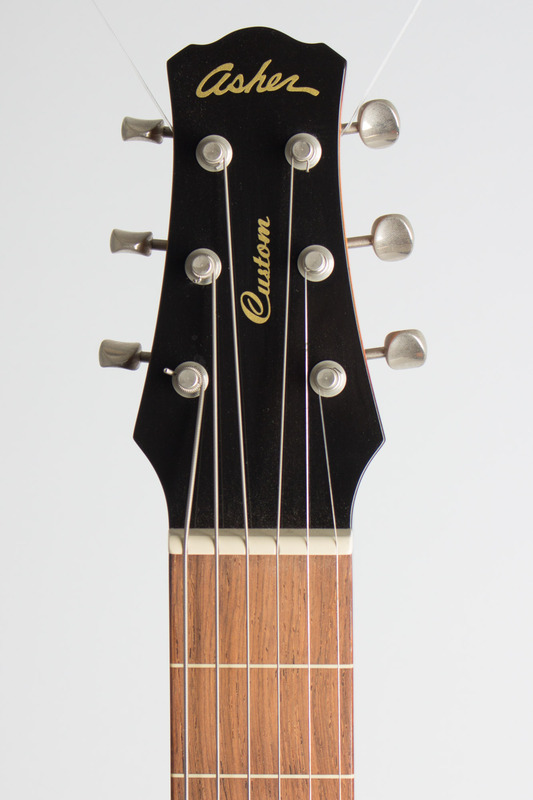 No bar is included for the tremolo, but it can be easily provided if desired. It comes in the original specially adapted Cedar Creek alligator-grain hardshell case with several of William Asher's business cards in the case pocket. Excellent + Condition.